Many hospitals now offer mothers the chance to invite whomever they like to their births, including children. To some, this idea is completely foreign, and to some an obvious choice. 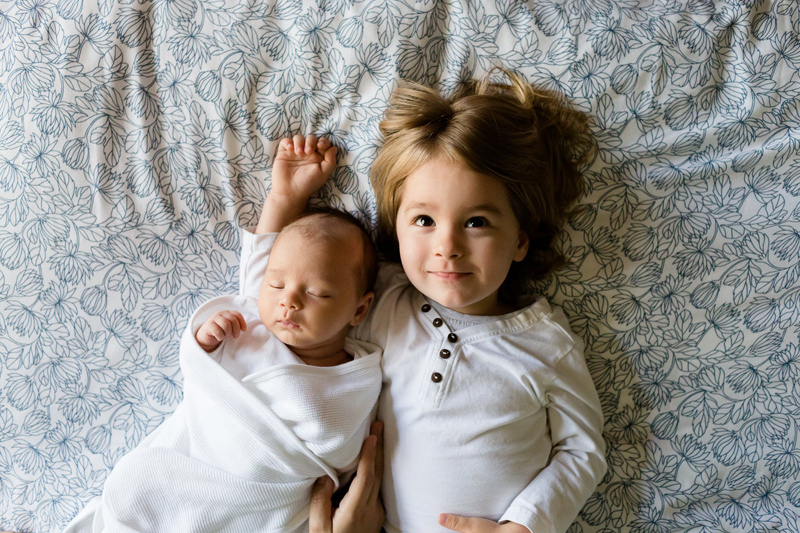 So why have a young child present at the birth of a sibling? From my own personal experience, my just-four-year-old daughter was present at the birth of her baby sister. I had a homebirth, and because it was in the middle of the night, she came into the room with her grandmother shortly before I delivered, so she was not present for my short, but very intense labor. She had attended Bradley classes with us, and watched several Baby Story episodes of natural births as well the uncensored ones at Bradley class. She had attended several of our appointments with the midwife. She knew when I was in pre-labor (it took a couple days before things really got going), so she knew that the time was near. The thing that I remember most about having my daughter at the birth was the opportunity to watch her as the baby was born. Everyone else was watching me (well, the baby, really), and so no one else got the view of the embodiment of utter and complete joy on the face of my four-year old. She had watched birth and heard about birth and seen videos of other siblings at births, and this time, she knew this one was *hers. * I wish someone had been able to capture her face on film, but at least it is burned into my mind along with all the other wonderful memories of that night. To be present at our family's birth was totally natural to her. I felt it to be so much more of an authentic experience than a sister appearing as if from nowhere. I found it was so much less scary for her than to be left with a caregiver while Mommy and Daddy disappeared for a couple days and came back with a baby. She was able to immediately touch her sister, lay down with me as I held and nursed the baby, and hold her soon after. As a result of this, or so it seemed to us, she never begrudged the baby a single moment of attention from me, or anyone else. She showed off her sister personally to everyone that came to visit. She got annoyed with me if I didn't respond immediately to the baby's every noise. She had a very instinctive sense of what the baby needed… and she was usually right. I feel that so much of this deep connection came from her presence at the birth. So, clearly I am generally a proponent of children being present at the birth of siblings. It can be an incredibly beautiful, empowering, defining experience for the child and the whole family. That said, the situation as well as the temperament of both the young child(ren) and adults involved need to be right for the attendance of children at birth to work. For more details on what is involved in having a positive experience when children attend a birth, see my related article "Guidelines for Young Children Attending Births," linked below. Excellent children's book about siblings at birth -- this one features a homebirth. It's out of print, but used copies are available.